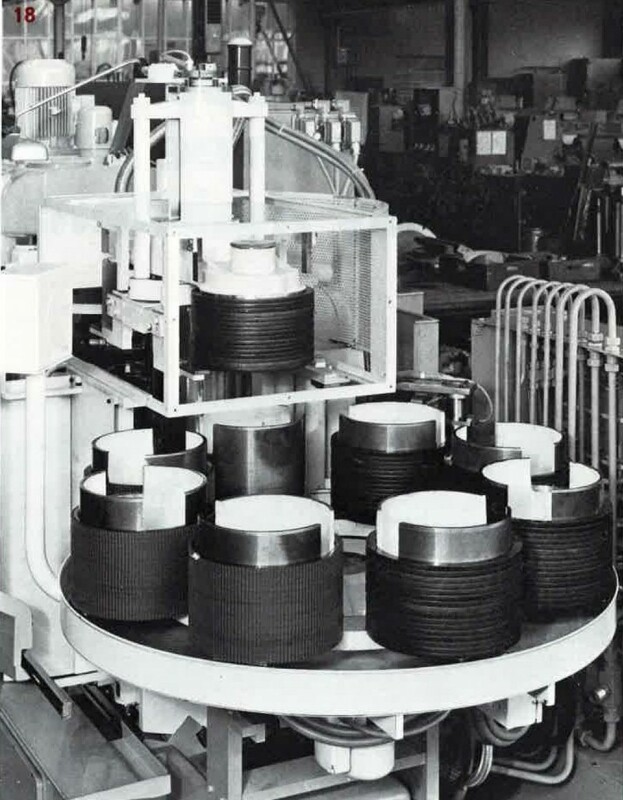 The benefits and use of automation during the hobbing process. For this discussion, we will categorize parts into three groups: large, medium, and small. Large parts above 400 mm (~16 in) are typically not automated. As a general rule, parts that are 200–400 mm (~8–16 in) diameter can be considered medium sized and are normally processed on vertical hobbing machines. Parts less than 200 mm (~8 in) diameter can be considered small and can be efficiently automated on both vertical and horizontal hobbing machines. What exactly is “automation”? 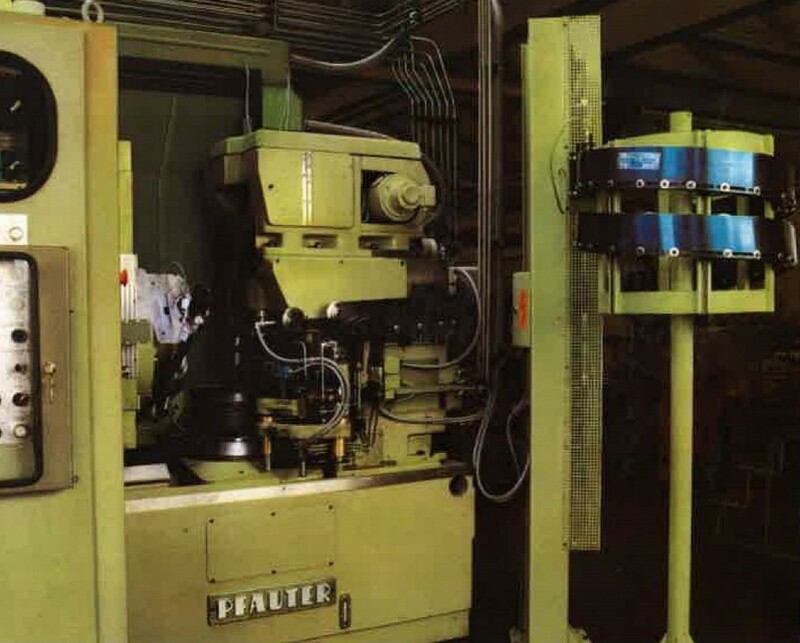 Gear hobbing automation is a system that integrates with a machine tool to automatically load and unload blanks and gears through the use of hydraulic and pneumatic cylinders, grippers, claws, etc. (see the video above). 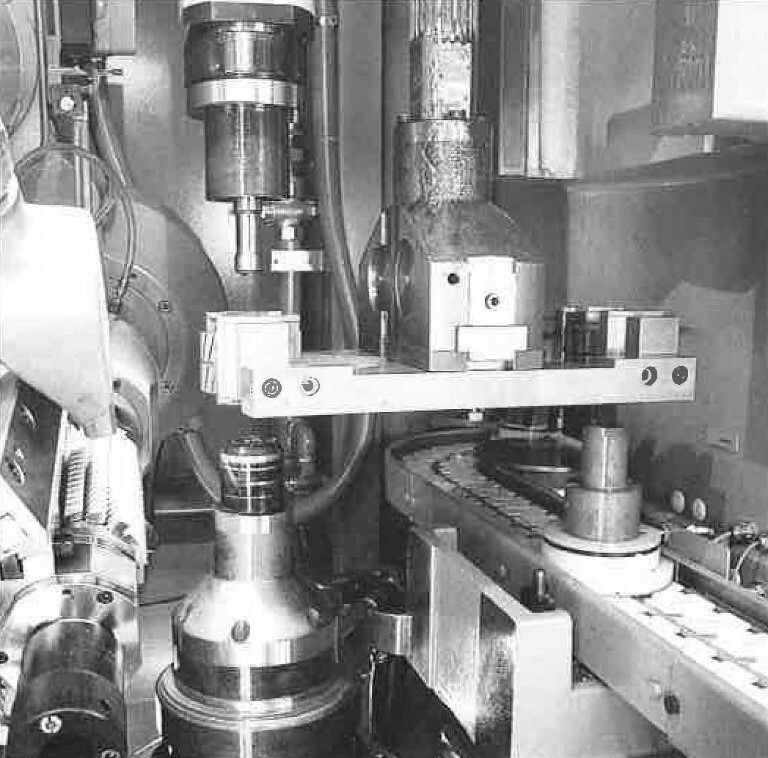 The first generation of automation for gear cutting was dedicated, engineered systems which were appropriate only for mass production due to their cost and difficulty to design and implement. “Blue Steel” was used to convey parts into and out of the machines. 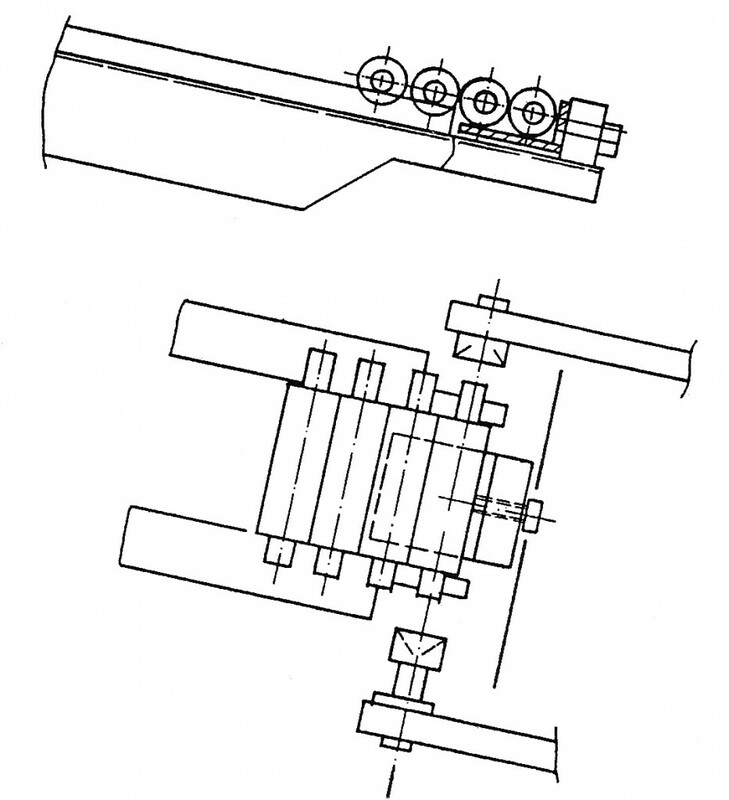 (Figure 2) For larger parts, such as starter ring gears, other systems were developed. (Figure 3) However, none of these designs provided flexibility to accommodate several different work piece types. The second generation systems typically used pallets to transport gear blanks on a moving chain loop storage. 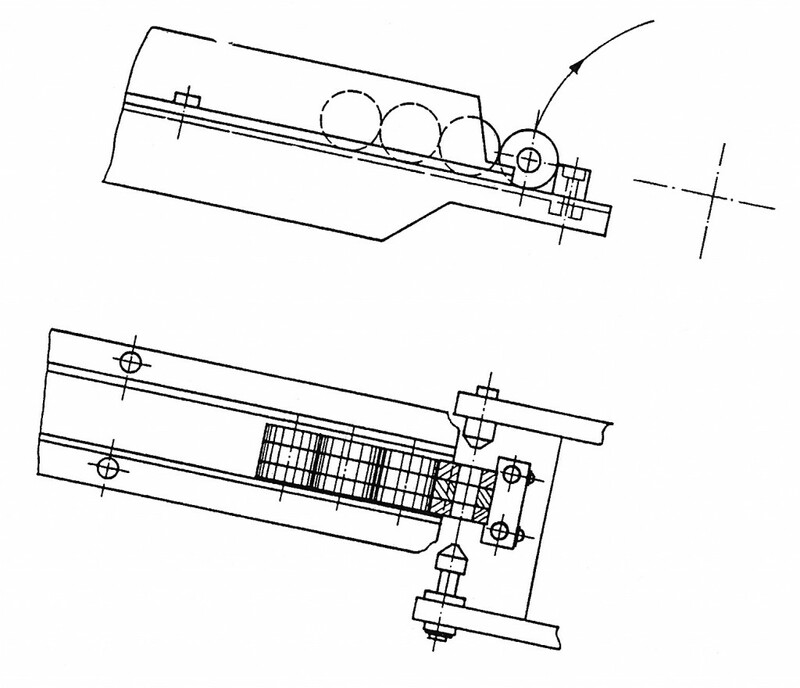 (Figure 4) These dedicated systems were designed and optimized specifically for the production of a single part with large lot sizes. For example, automotive applications may implement automation to decrease machine idle times to 5 – 7 seconds. This may seem insignificant, but when it is multiplied over thousands of parts on several machines, the benefits become significant. Despite the additional upfront cost of an automation system, it will increase the efficiency of machines, reduce labor costs, and increase machine utilization. Over the life of a machine, these gains will easily outweigh the costs. Therefore, automation for gear hobbing machines provides an invaluable means to getting the most from the machine tool, which leads to greater productivity. In gear manufacturing, the use of automation should be considered to help achieve a highly productive and profitable operation. With each new generation of hobbing machines, the speed and flexibility of the automation systems also improve. Automation brings many advantages. The greatest is the elimination of human operation “interference” time, and it also increases machine utilization because less time is spent loading work pieces. The operation will also be engineered, which provides more consistently accurate and precise parts.